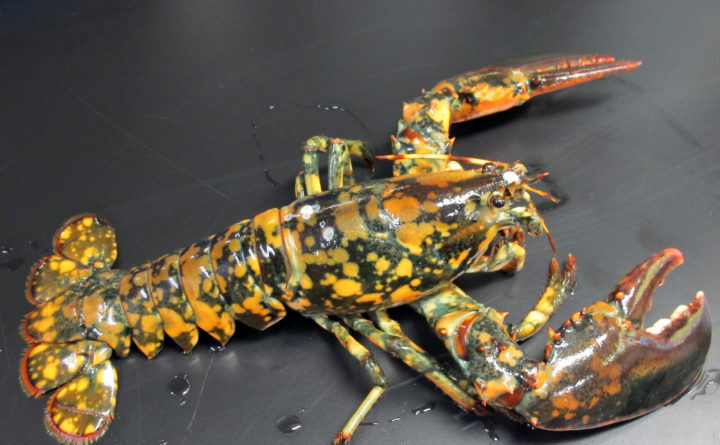 A seafood distributor wants an extremely rare lobster with a speckled orange and black shell to be viewed by many, rather than enjoyed by just one on a plate. Ocean City Seafood of Silver Spring, Maryland, was unloading a shipment from Maine last month when the owner found the rare “calico” lobster. Lobsters usually have dark blue or greenish-brown shells. The University of Maine’s Lobster Institute says calico lobsters occur about once in every 30 million lobsters.